strumpfaffen | The Strumpfaffen Project is a non-profit initiative from Berlin engaged in the act of craftivism. We make and sell sock monkeys with the aim to donate our revenues to humanitarian projects. Therefore we work together with our partner organization Tara Trust who support underpriviledged people in India. The Strumpfaffen Project is a non-profit initiative from Berlin engaged in the act of craftivism. 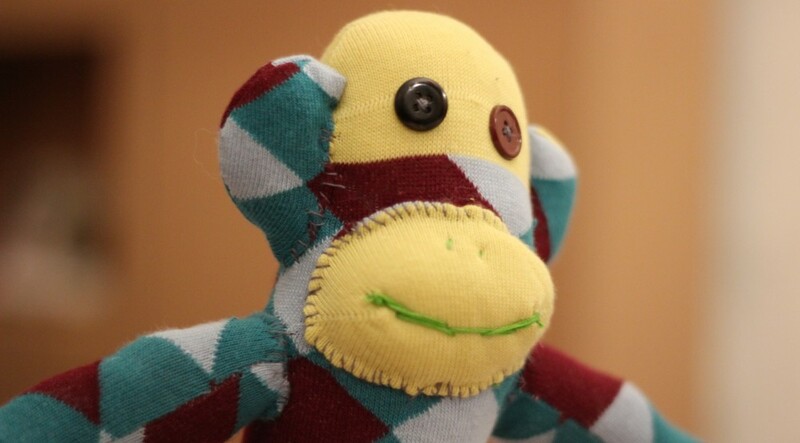 We make and sell sock monkeys with the aim to donate our revenues to humanitarian projects. Therefore we work together with our partner organization Tara Trust who support underpriviledged people in India. Need a gift? With purchasing a sock monkey you can easily put a smile on someones face and do a good thing at the same time. With selling the little buddies we support underprivileged children in India. Working together with our partner organization Tara for Children e.V. we make sure, that your donation finds its way to people, who really need it. We’re a group of friends dedicated to this project since 2011. Next to our day job we’re doing this as a hobby for the good cause. In Berlin we make and sell sock monkeys, offer workshops for individuals, schools, nonprofit organizations or companies. We have partners in India, Canada, Mexico, and soon in New York. Any questions? We’re always happy to help. Please get in touch under hallo@strumpfaffen.org! Spread the word, if you like what we do! We’re ready for Christmas: Order now and make a heartful gift for the good cause!